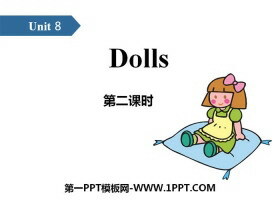 《Dolls》PPT(第二课时) 第一部分内容：Introduce This is our snowman. Hes tall. His mouth is big. His eyes are small. His nose is big and red. 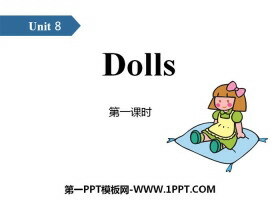 His is His are His is and ... ... ... dollsPPT，第二部分内容：Words n..
《Dolls》PPT(第一课时) 第一部分内容：Introduce Look at our doll. Shes beautiful. Her hair is long. Her eyes are big. Her nose and mouth are small. 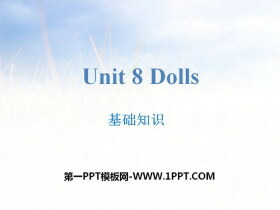 Her is Her are Her and are ... ... ... dollsPPT，第二部分内容：..
《Dolls》课堂练习PPT 第一部分内容：词汇练习 一、?#39029;?#19981;同类的单词。 ( ) 1.A.big B.small C.fish D.tall ( ) 2.A.here B.ear C.mouth D.nose ( ) 3.A.dog B.panda C.cat D.long ( ) 4.A.ear B.eye C.king D.mouth ( ) 5.A.f..
《Dolls》基础知识PPT 第一部分内容：重点单词 big 大的 small 小的 fat 胖的 thin 瘦的 long 长的 short 短的 tall 高的 short 矮的 eye 眼睛 ear 耳朵 ... ... ... dollsPPT，第二部分内容：重点短语 1.our doll 我们的玩具..
《How much?》PPT(第二课时) 第一部分内容：Introduce --Can I help you ? --Yes. Id like these shoes. --How much are they ? 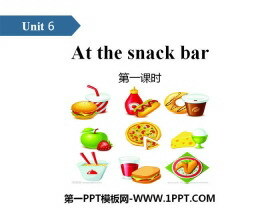 --Five yuan, please. 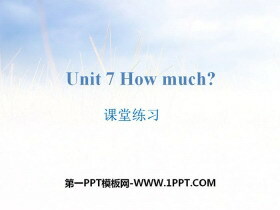 --How much is ? 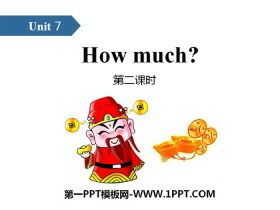 --It is four yuan. --Can I help you ? --Yes. Id like ..
《How much?》PPT(第一课时) 第一部分内容：Introduce --Can I help you ? --Yes. Id like these shoes. --How much are they ? --Five yuan, please. --How much is ? 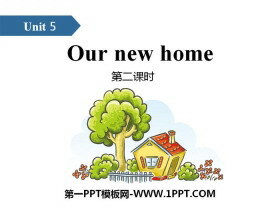 --It is four yuan. --Can I help you ? --Yes. 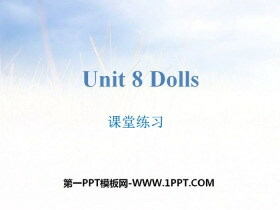 Id like ..
《How much?》课堂练习PPT 第一部分内容：词汇练习 一、?#39029;?#19982;所给单词属于同类的一项。 ( ) 1.shoes A.nice B.socks C.like ( ) 2.thirty A.twenty B.have C.these ( ) 3.Mike A.milk B.six C.Tom ( ) 4.five A.rice B.seven ..
《How much?》基础知识PPT 第一部分内容：重点单词 fan 扇子 umbrella 雨伞 shoe 鞋子 sock 袜子 twenty 二十 thirty 三十 forty 四十 fifty 五十 yuan (人民币)元 only 只有;仅仅 twenty eight 二十八 forty five 四十五 ... ..
《At the snack bar》PPT(第一课时) 第一部分内容：Introduce What would you like ? Id like a hamburger and a glass of milk. What about you, Dad ? Id like a sandwich and a cup of coffee. What would you like? 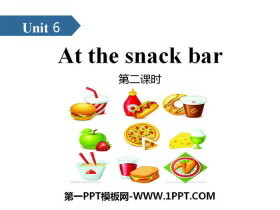 Id lik..
《At the snack bar》基础知识PPT 第一部分内容：重点单词 coffee 咖啡 tea 茶 juice 果汁 milk 牛奶 hamburger 汉堡包 sandwich 三明治 noodles 面条 rice 米饭 fish 鱼 ... ... ... At the snack barPPT，第二部分内容：重点..